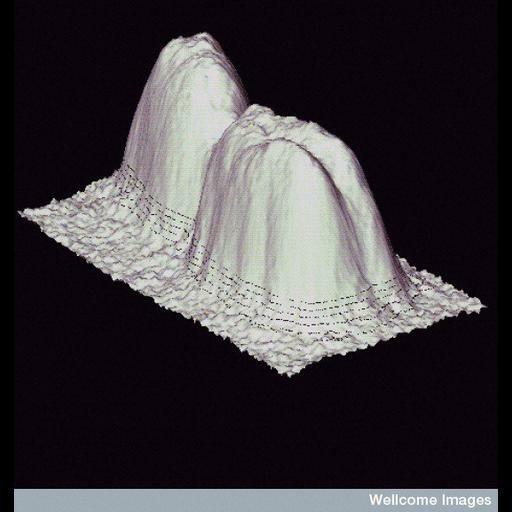 Scanning probe 3D image of a single metaphase wheat chromosome, with selected height contours superimposed around the base. Using such images, complete genomic sets of chromosomes can be classified according to their volume. Additional scanning probe chromosome images are available as CIL 38987, 38915, and 39013.